Here’s a great new $2/1 Neutrogena Facial Product printable coupon that makes for FREE makeup remover wipes at Target or Walmart this week! Free Sample: Bio True Contact Lens solution! Request your BioTrue Contact Lens Solution FREE sample from Target’s Sample Spot! You’ll have to complete a 7-question survey to verify that you qualify for the BioTrue Contact Lens Solution FREE sample. Your sample should arrive in 8 to 10 weeks. Score Glade Expressions for FREE at Target & Walmart! 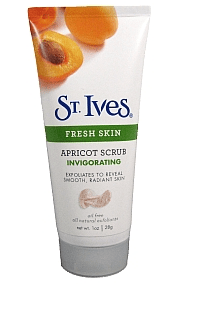 Target stores have Travel Size St. Ives Apricot Scrub for 97Â¢. There is aÂ $1 off St. Ives Apricot Scrub Printable CouponÂ on their Facebook PageÂ which would make these FREE. FREE or Cheap Adidas deodorant or body wash at Target or Walmart! Grab this new $2/1 Adidas Personal Care printable coupon that makes for possible FREE Travel Size deodorant or body wash! This coupon prints without a size restriction and many stores carry the travel size products for around $1. Comet Stainless Steel cleaners just 99Â¢ at Target! Dial Liquid Hand Soap 29Â¢ at Target! Dial Liquid Hand Soap, $1.29 ea. 29Â¢ each wyb 4 after coupons!